Product prices and availability are accurate as of 2019-03-02 00:06:49 EST and are subject to change. Any price and availability information displayed on http://www.amazon.com/ at the time of purchase will apply to the purchase of this product. Handlesglass beads sand, and aluminium oxide. Minimun compressor requirement: 3 HP 90 PSI. 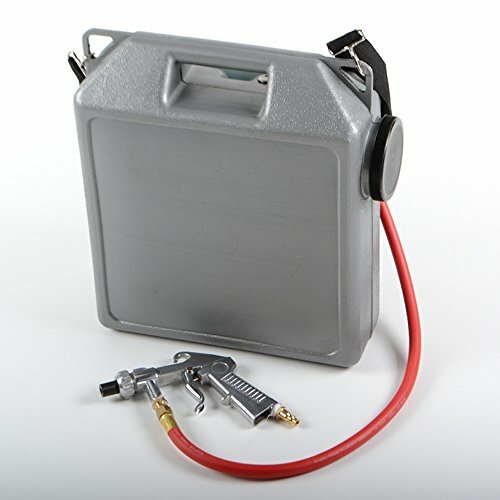 Includes: 30lbs capacity seamless polyethylene hopper, 5 feet rubber hose, heavy duty sandblast gun with hardneed steel nozzle.